Ubisoft sure loves their universe of games. They just cannot help but throw in easter eggs when developing their games. And who can blame them? They have some pretty iconic game series. As far as character designs go, Assassin’s Creed and Splinter Cell have some of the most recognizable looks in modern gaming. With iconic logos, symbols, weapons, and gadgets, there are tons of things to slip into their games. The Far Cry New Dawn easter eggs are no different. The game just came out yesterday and players have already found a bunch. When rediscovering Hope County, Montana, the player can find bunker where there is a bobble-head figure of the Far Cry 3 villain Vaas. 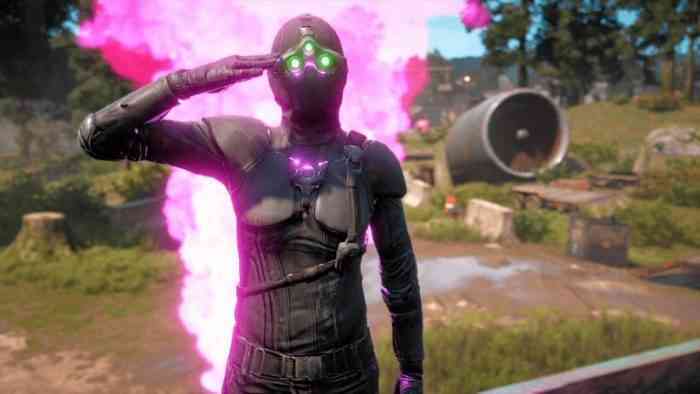 Another easter egg from the Far Cry universe comes from Far Cry 5, which was a reference to Far Cry 3: Blood Dragon. Easter egg-ception or something! The Blood Dragon eggs used to film the Blood Dragon movie can be found in New Dawn, as well as a note from the director of the movie. There is also a sighting of a Rabbid. Because these creatures are so different from Far Cry, conceptually and thematically speaking, Ubisoft had to get pretty creative to slip this one in. A ruined banner outside a theme park shows off the Rabbid. There is also a pretty beefy Splinter Cell easter egg. A crashed aircraft resembling Spinter Cell: Blacklist’s Paladin can be found. Inside a computer with the ShadowNet layout can be found. This comes with discussion logs of characters from Splinter Cell talking about the end of the world in Far Cry 5. The player can also find the Sam Fisher suit, complete with the iconic goggles. It’s not just there to look pretty. You can wear it, too. What is your favourite Far Cry New Dawn easter egg? Let us know in the comments below.